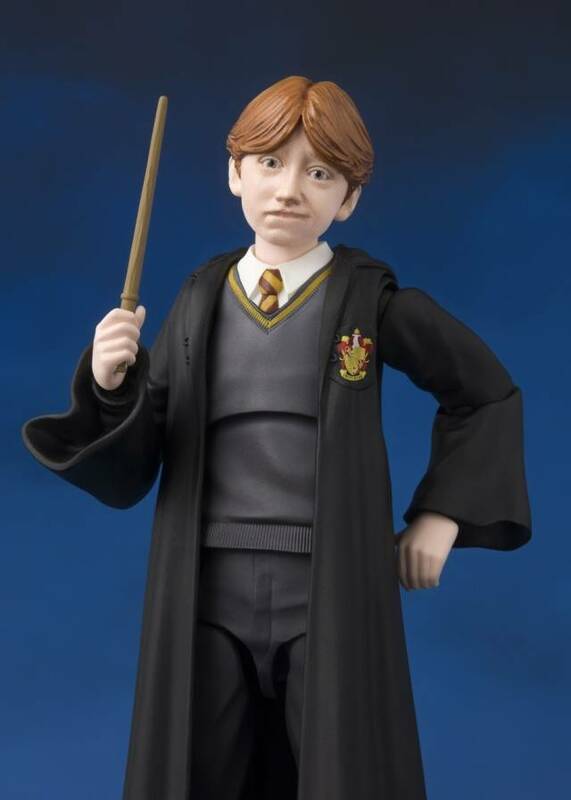 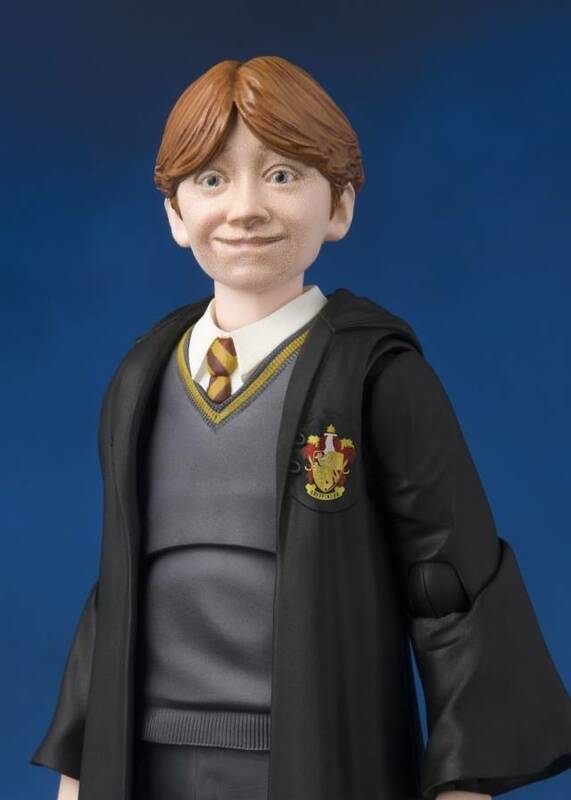 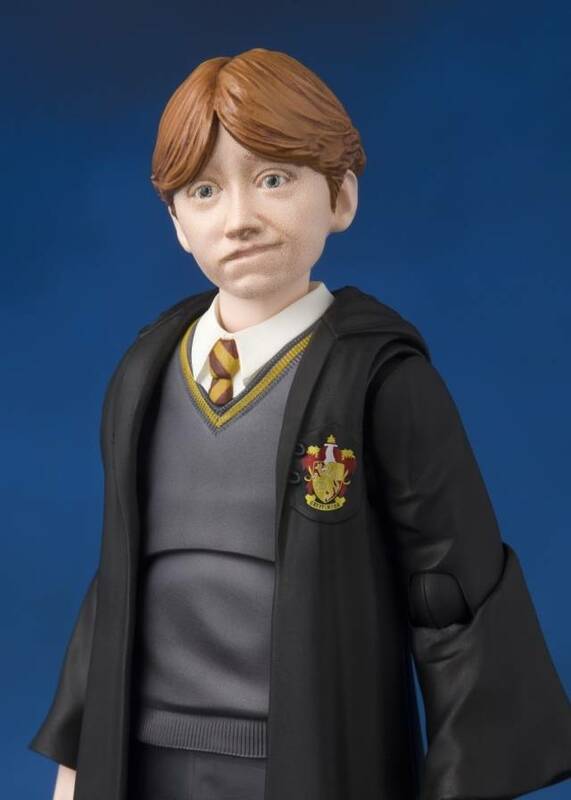 Harry Potter's friend Ron Weasley joins the S.H.Figuarts series! 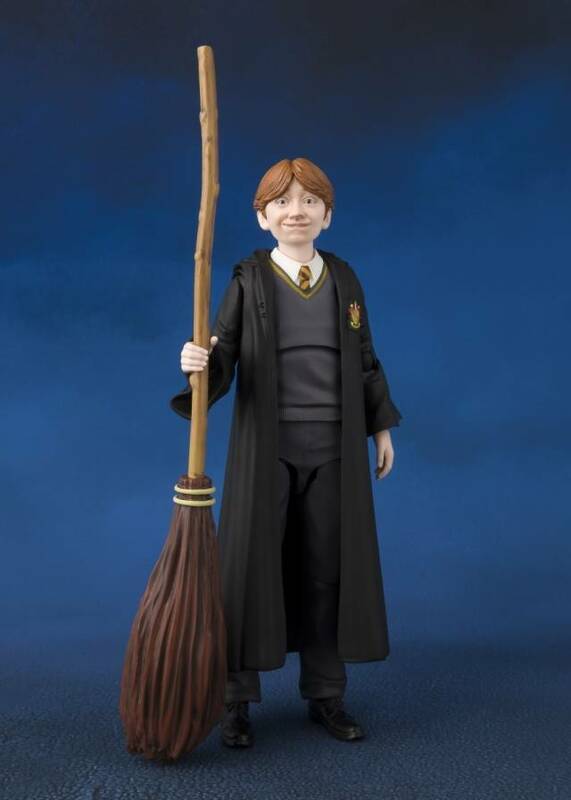 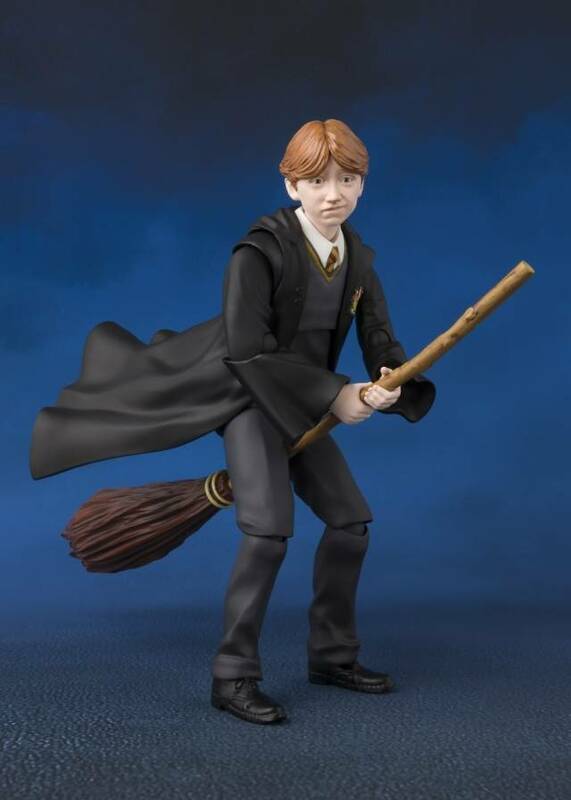 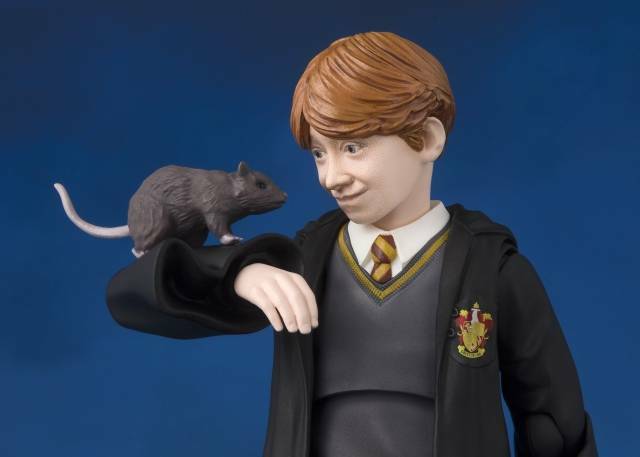 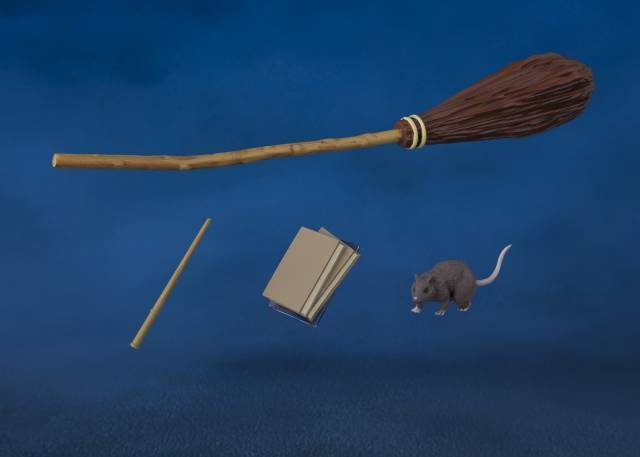 This accurately sculpted, digitally colored, and highly posable action figure includes Ron's rat Scabbers and a magic broomstick. 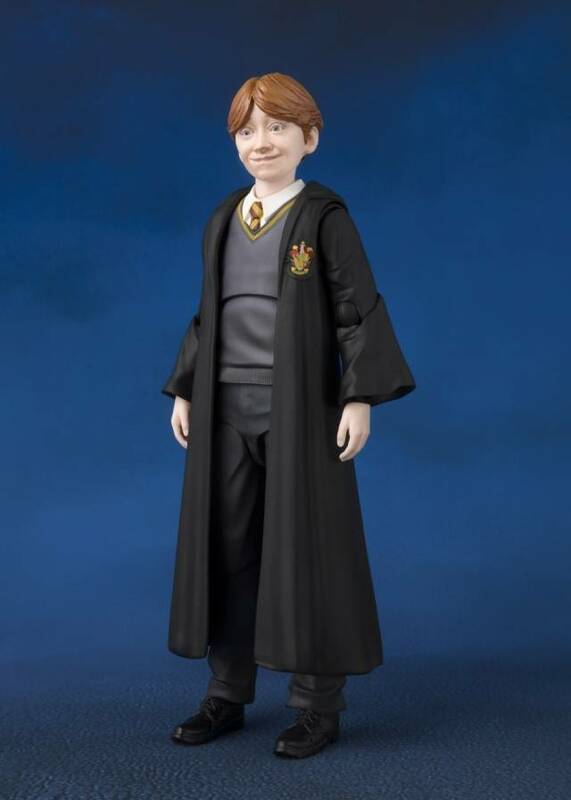 The set also includes an optional facial expression part, three pairs of optional hands, a textbook, and a robe. 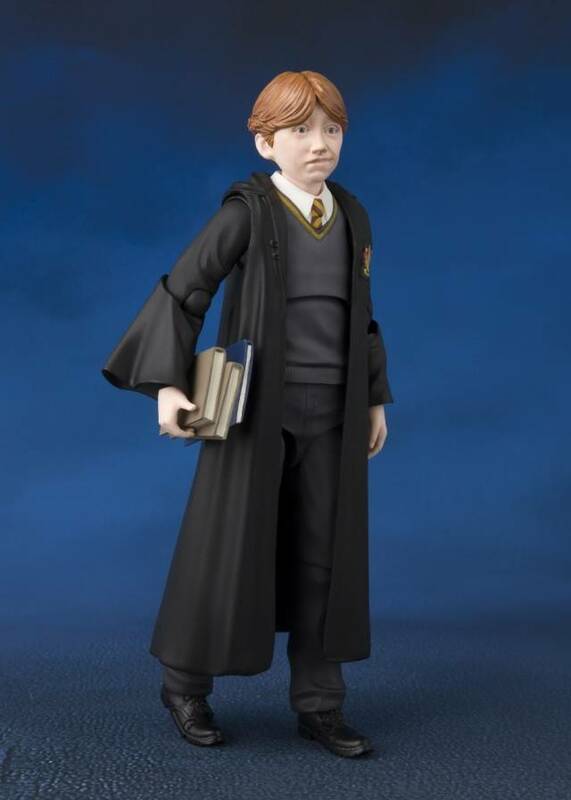 Case Fresh from a Factory Sealed Case Approx 4.7"